or Bodybuilding Related Website or Blog? 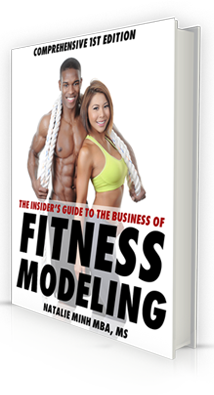 Learn how you can earn Earn 75% IN COMMISSIONS as an affiliate “partner” by promoting the “The Insider’s Guide To The Business of Fitness Modeling” to your website or blog visitors! How would you like to receive an automatic monthly commission checks of $1000+ each month? Well, if you have been looking for a successful fitness modeling product, then you are very lucky you made it here… Why? I am the best selling fitness modeling affiliate program on the entire Clickbank marketplace. 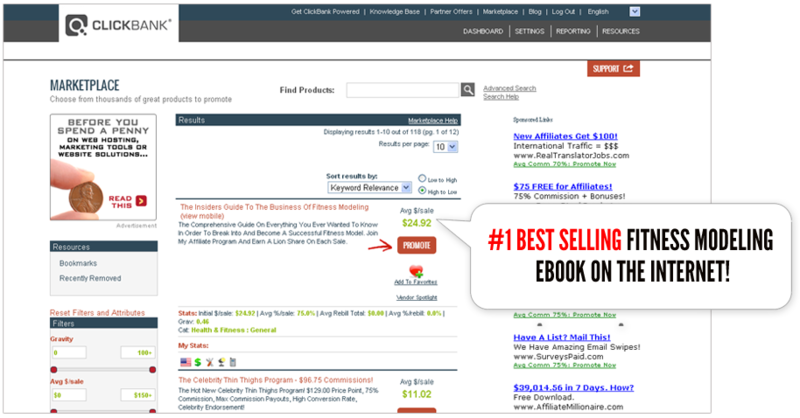 I offer the largest commission payout of 75% compared to any other e-book online. I provide you with tons of very powerful marketing tools found on this page, and I will personally work one-on-one with you to ensure you are successful with your marketing experience. http://AFFILIATE.motownnat1.hop.clickbank.netTo make the HopLink work, just replace AFFILIATE with your ClickBank nickname or affiliate ID. This link will take them directly to my product page and you will earn 75% commission for each sale. As long as a visitor clicks on your link and orders within 60 days of landing on your site, you get paid! It’s that easy. Test your link before using it. If the HopLink is incorrect, you may not receive commissions for your sales. [affiliate = nickname]Once you have verified that the affiliate nickname is correct, you’re ready to go. Most of the top affiliate marketers online cloak or mask their affiliate links with their own domain name URL. Pick something that is short, catchy, and peaks the attention of the prospect and makes them want to click the link. Download the Book preview which features the Front cover, Table of Contents, Author Foreword, and Back Cover. It details everything that you need to know about the book in order to promote it. How do you pay commissions and how often? The commissions get automatically deposited into your Clickbank account in real time so that you can see how much you have made up to the minute! Every two weeks, Clickbank mails you a pay check for the amount you earned in the last pay period. The checks arrive precisely the same time every two weeks so it makes your trips to the mail box quite exciting! Nope. Clickbank manages the affiliate payout schedule, which is assessable in your dashboard. The most successful affiliate promoters are able to relate a personal story and tie it into how this book could have or have helped them. Problem –> Diagnosis –> Solution (Product). Service Overall rating: 5 out of 5 based on 20 reviews.